This tutorial will guide you through the Samsung Smart Signage Platform 2nd and 3rd generation installation process. 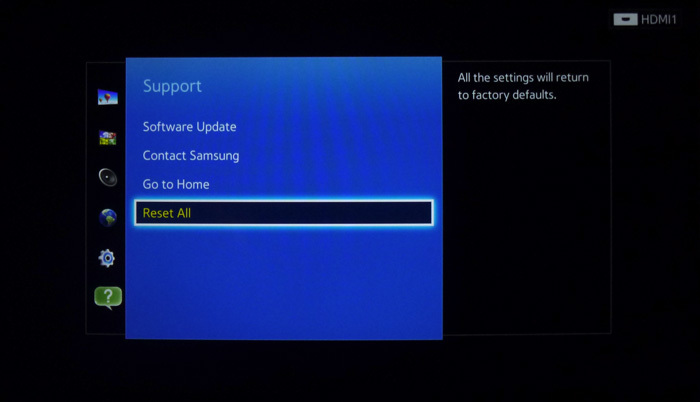 If your device has Samsung's Magic Info software activated, you first need to reset your LFD to its factory state. This is done by going to Menu ­> Support ­> Reset All in your SSSP device. Please note, that this option is not accessible while running the Magic Info software. A simple way to fix this is by going via a different Input Source (e.g. HDMI1, DTV, etc). 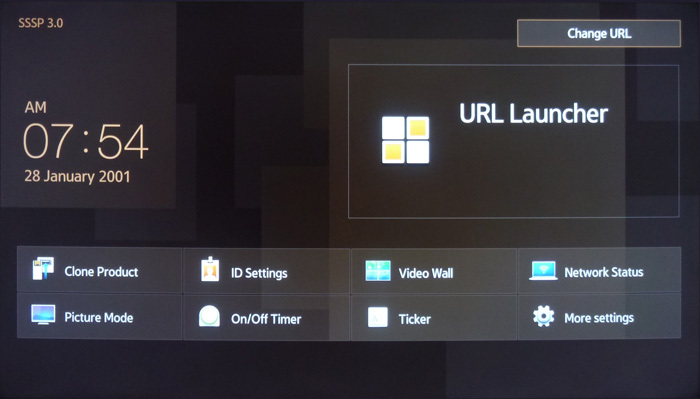 If your device is running a different software via the URL Launcher, check out the last section of this tutorial (Uninstall) before continuing. If your device currently has no other software installed, continue as follows. Press "Home" on the remote control. Go to "Change URL" in the top-right corner. 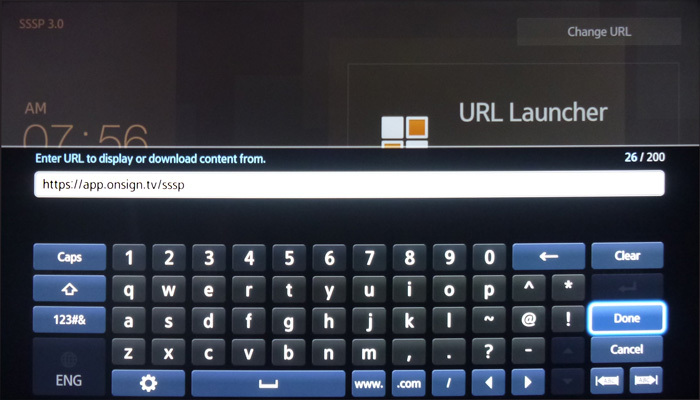 Go to URL Launcher and you're good to go. The OnSign TV Player for Samsung Smart Signage Platform devices will be automatically installed into your LFD. Your display may restart one or more times during the setup process. Your Player software will automatically update to its latest version available during boot. 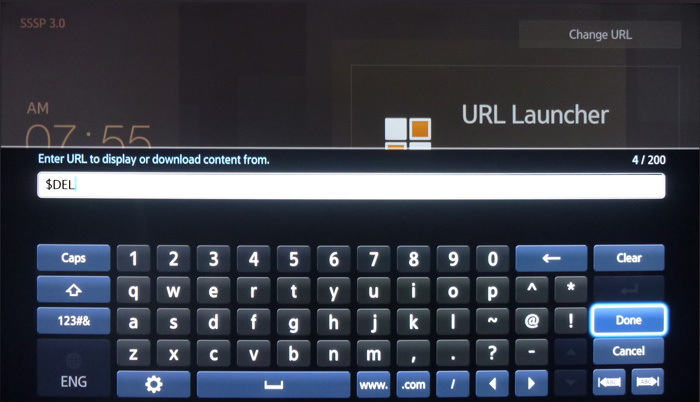 Using the virtual keyboard or a USB attached keyboard, type in the following address and press "Done". Go to the URL Launcher and that's it! Note that this only removes the installed software, but doesn't remove any media files that might have been downloaded for it during its use. To remove all media files downloaded to your device while using the OnSign TV Player, make sure all campaigns associated with it are unpublished. The player has to be in the "No campaigns available" state before uninstalling the software.